Hawk Eye - England v India Third Test: Can Anderson and Woakes repeat? "On the one hand the conditions help to find us an edge. But just as often they erode confidence in the pure numbers"
Performance quotes on the high side? 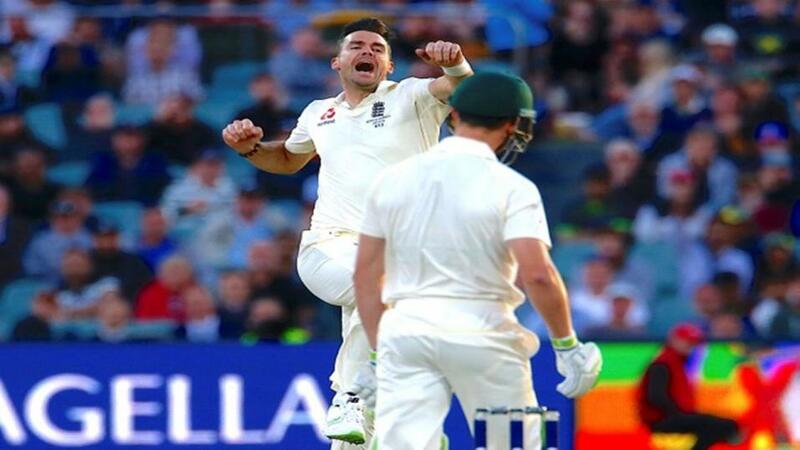 After England's crushing victory at Lord's last week, Trevor Bayliss, the England coach, said that his destroyer-in-chief, James Anderson, could go on until he is 40. No doubt. So long as the wickets and conditions are as favourable and the opposition batsmen are as clueless as India's. Anderson took nine wickets in the match. Anderson would keep going until he is 40, one suspects, if he could carry the Trent Bridge wicket around with him. In what is terrible news for India, he has 60 wickets in nine matches there. Seven times he has taken a five-wicket haul and twice ten wickets in a match. It is tempting therefore to hunt the markets for any, and every, way to get with Anderson from Saturday. The most popular is likely to be the 2/1 that Betfair Sportsbook offer about him being top England bowler in the first-innings. Despite his fine record at Trent Bridge, it's a difficult wager to take because he is statistically more like a 9/4 poke. So what about Betfair Sportsbook's player performance quote of more than 116? At first glance it looks extremely pricey. And on further inspection it is. It could be argued Sportsbook have priced him either on Lord's form alone of the Anderson vintage of 2014. We have done a detailed study of his performance make-ups below and he is averaging under the quote for every year in the last five, at home and in his career. The problem with going under at 5/6 and being ballsy is his record at Trent Bridge. He has an an average performance make-up of an incredible 155. Another player being priced, seemingly, on what he did at Lord's is Chris Woakes. You can go over/under at 118.5. He was mighty impressive in taking home the man of the match award thanks to brilliant century. Woakes has a career average make-up of 99. In the three individual years of Test cricket he had played more than once, he is coming up short every time apart from 2018 thanks to that astonishing HQ effort. It could be an outlier. It could become more regular. His 25-game Test career suggests the former. But filter home results and he averages 127, suggesting the latter. This is what can be frustrating about cricket betting. On the one hand the conditions help to find us an edge. But just as often they erode confidence in the pure numbers. It is important to maintain discipline. Sure, we can argue that Anderson or Woakes will bust the quote because of conditions. But isn't it better to keep our powder dry when the the quote and the conditions match? In our match preview, the only selection is going under Keaton Jennings' performance quote at a lofty 73.5. It is a good value wager and one which Hawk Eye would happily repeat for a contest which is shaping up as a tepid betting heat. With seam and swing expected at Trent Bridge and India collectively scraping past 100, the quote from Betfair Sportsbook about no century being scored catches the eye. They go 5/1. Statistically, of course, it should be bigger at around 6/1. There have been at least one century in each of the last seven tests at Nottingham. Apart from one. That was England versus South Africa last year. Hawk Eye on England v India Second Test: Can anyone get Kohli beat?